When we left Call, Tamara and Aaron at the end of The Iron Trial (see review here), they had all passed through the Gate of Control, signifying they had mastered their magic and graduated to Copper Year. Aaron had also discovered he was a Makar, able to control Chaos magic and therefore the Magisterium's one great hope to fight the Enemy of Death. Call had also discovered something. It seemed he was the Enemy of Death, the magician everyone wanted dead, the person his best friend was sworn to destroy. For now, only Call, his father and Master Joseph (the Enemy of Death's follower) know the truth — and Call needs to do everything he can to ensure it stays that way. As it is, his life is already in danger — his father seems intent on killing him. So Call has no choice but to flee his home, together with his Chaos-ridden wolf, Havoc, and stay with Tamara and her parents until the school year starts again at the Magisterium. 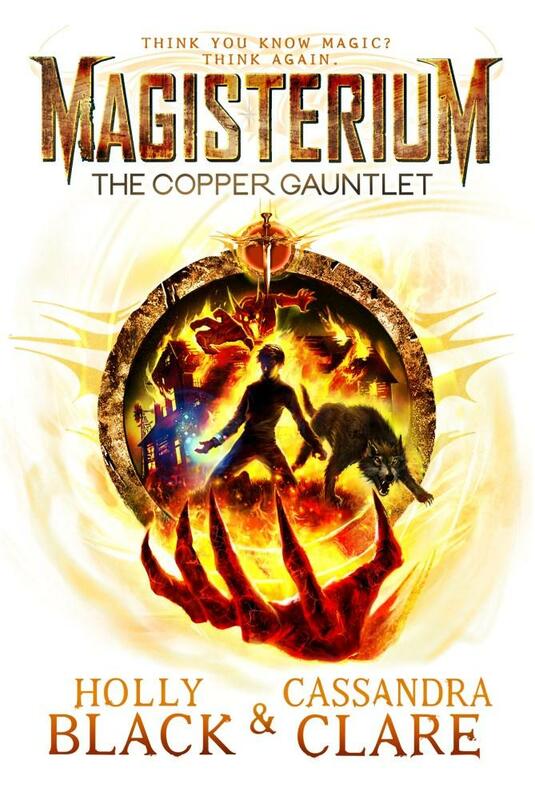 But, as one would expect in a series of books based on magic, mayhem and adventure, things don't go to plan, and soon Call, Tamara and Aaron are on a quest to find the Alkahest, a gauntlet made from copper that has the ability to destroy the Makar. Holly Black and Cassandra Clare have done an excellent job of maintaining the momentum from the first book. This is fast-paced, enjoyable writing that sweeps the reader along through the twists and turns of a magical conflict that has the potential to destroy all that Call holds dear. Can he trust his friends? Should he trust his own father? And just because he has the soul of the Enemy of Death inside him, does that really make him evil? The story will continue in 2016 with Book 3 in the series, The Cosmos Blade.